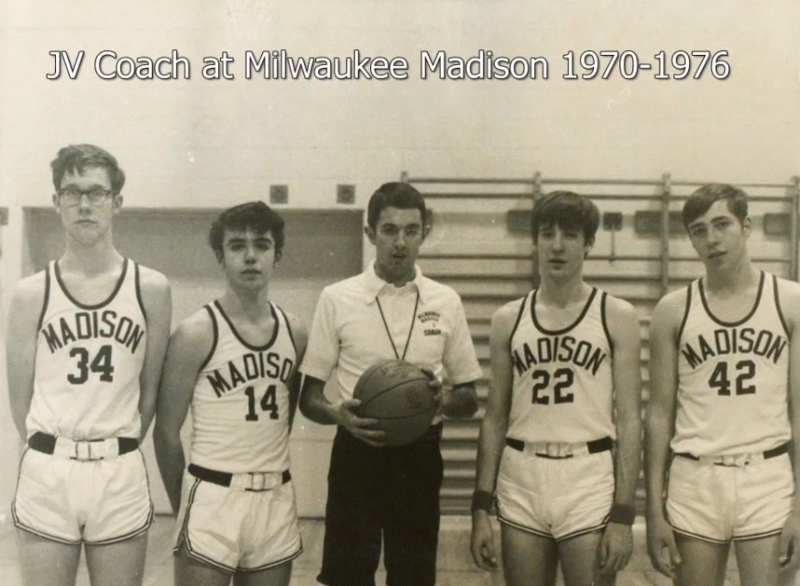 In fall of 1972 I was a sophomore at James Madison HS in Milwaukee. I planned to try out for basketball and Tom Desotell was the coach. He’s a great man and has influenced me in many ways. I’ll list a few here. I remember sitting in the basketball meeting days before the try-outs were to start. He gave us a running workout. I remember doing that workout by myself on the blacktop playground at Goodrich Elementary at night. Coach Desotell taught me that to succeed in athletics, one has to work for it. I learned tons about basketball and how to run a practice (and the importance of scouting opponents) during my one year under Coach Tom Desotell. I was able to coach basketball after graduating from Doane College. I was a head boys basketball coach for 9 years, at Centura HS in Nebraska. Most of the drills and the offenses and the defenses we ran I learned from Tom Desotell. At Madison we had M.T.X.E. on each basketball. It stood for Mental Toughness Extra Effort. At Centura we had M.T.X.E. on our basketballs. 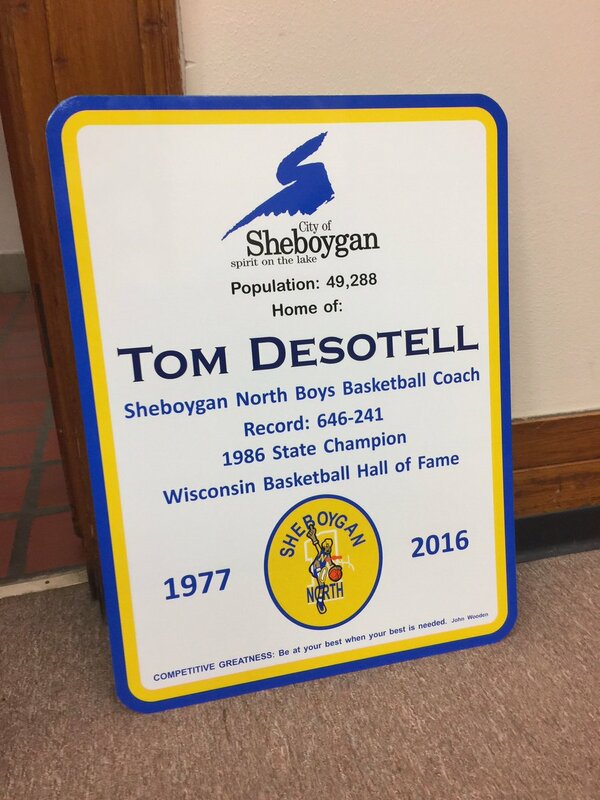 After being the sophomore coach at James Madison HS, Coach Desotell was hired as head coach at Seboygan North HS in 1978. He would go on to have a Hall-of-Fame career coaching at Seboygan North for 39 years, and have a positive impact on 1000’s. 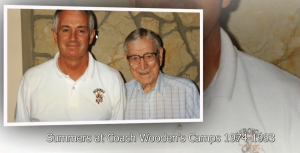 For 30 years he worked at John Wooden‘s summer camps. Interesting, if you know John Wooden, he was a teacher first. I learned from Coach Desotell than to be a successful coach, you need to be a teacher. 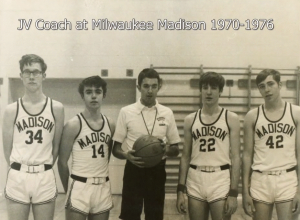 At Seboygan North he would win 646 games and a Wisconsin State Championship in 1986. More info here. He retired in 2016. I wrote him a note to thank him for all he did to help me as a coach and as a person. 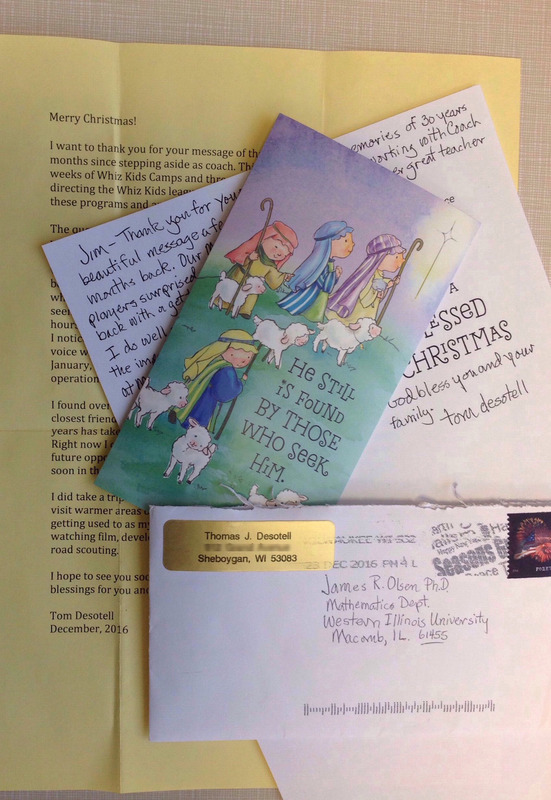 At Christmas time, later that year, I received a very nice note from Coach Desotell. 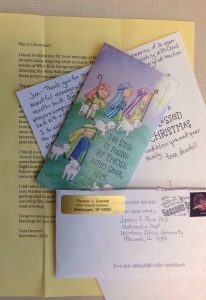 I cherish the card, note, and letter. I was around him for a short time in high school, but Coach Tom Desotell has been a big inspiration to me. In education, sports, and life we are blessed when we get to ‘stand on the shoulders of giants.’ Coach Desotell cared, worked hard, set a good example, and loved basketball. Tom Desotell – High School Coach from Video Imagery on Vimeo.